The walk up to the lookout point follows wonderfully curved switchbacks. This was taken from the car park before I combusted as the heat of Death Valley didn’t suit my constitution. 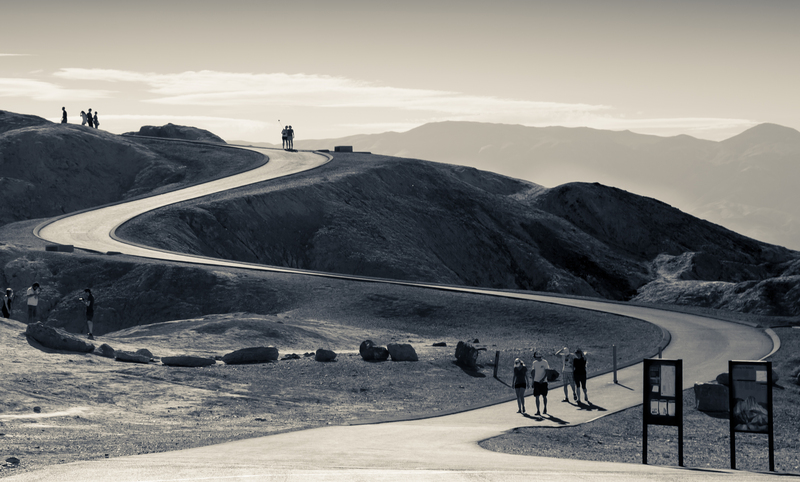 This entry was posted in Landscape, Monochrome, USA and tagged 2015, Death Valley, USA, Zabriskie Point by keithjohnmason. Bookmark the permalink.